Days Whiteface won the EU performance class at Dubbo in 2017, making it 5 consecutive wins since the classes inception in 2013. The bulls are assessed on visual market suitability, structure and the EU Market Index. 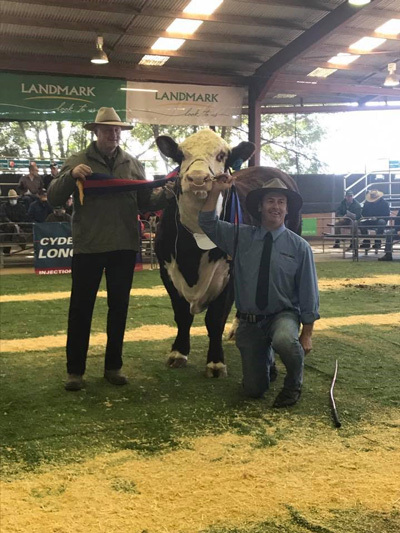 The inaugural winner Calibre G74 was the sire of this year’s winner Demonstrator L79 and 2016 winner Wizard K7. In 2014 the class was won by Patrick H37 and the 2015 winner was Enforcer J126.